Honourable Samia Nkrumah the daughter of the First President of Ghana was adjudged the first ambassador of the Ecovillage Movement in Ghana to advocate for the ecovillages as models for sustainable development. Hon Nkrumah visited the Kumasi Institute of Tropical Agriculture, KITA on March 15th to inspire participants undergoing the first Ecovillage Design Education course. During this meeting Hon Samia experienced at first hand how the ecovillage models are being used to enhance community building skills among youth and community leaders in order to bring change and transformation in their communities. She said this is the kind of training needed to ensure that our youth becomes leaders that can transform societies and bring development. Honourable Samia Nkrumah also met with the Executive Director of the Global Ecovillages Network International Kosha Anja Joubert and the Coordinator of the Danish Association of Ecovillages Camilla Englyst Nielsen to share thoughts on how to promote the ecovillage models within government. Hon. 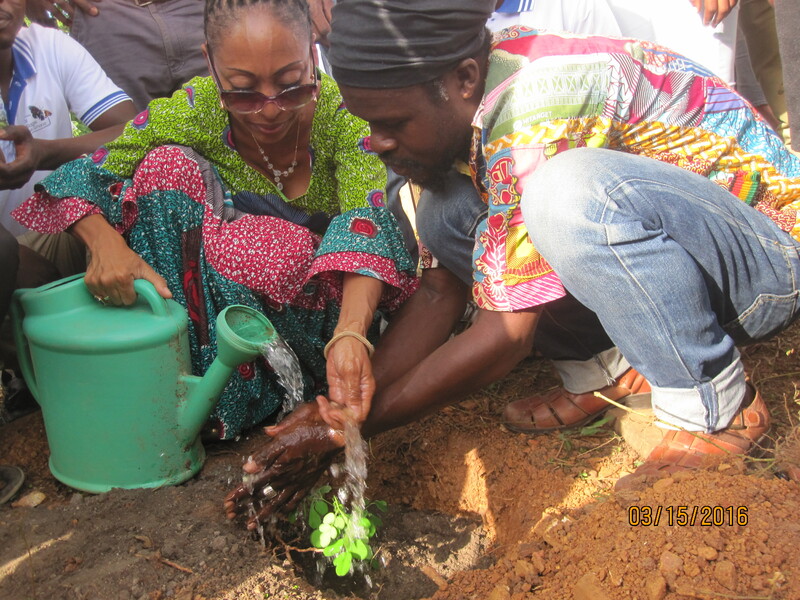 Samia Nkrumah planted a tree to signify her commitment to sustainability and climate change mitigation and called on youth to take environmental sustainability seriously to reverse the adverse effects of climate change. She said the integrated model of the ecovillage concept provides a wholistic approach to sustainable development and called on District assemblies and the Ministry of Local Government to adopt the concept of ecovillages to enhance Ghana’s quest for sustainable development and green economy.